Car Detailing & Polishing Services at AlNahdi Cars! Full shampoo by the vacuum method. Upholstery shampooed & leather cleaned. Roof and door linings cleaned. Windows cleaned for crystal-clear vision. Thoroughly and gently remove even stubborn dirt from car interior trims, upholstered seats, textile cover, plastic roof lining & sun roof. Regular cleaning of the exterior. Exterior polishing using branded products. Doors, windows and front glass cleaning. 50% off detailing services to make your love shine! Established in 1992 in Qatar, AlNahdi Group was formed to contribute in advancing community development. They provide outstanding service to the community in the areas of protection from the hot sun, protection of the structure and the windscreen from the road gravel and decoration of the carbon fiber structure and lights. AlNahdi Group is a leader in automotive window films. These films will help to reduce heat and glare and will block UV rays. Making use of AlNahdi Group’s car film products will provide more comfort for the driver and passengers, improving vision and safety, helps product the skin and reduce fading of the interior. All this is possible while adding the right aesthetic touch to your car. 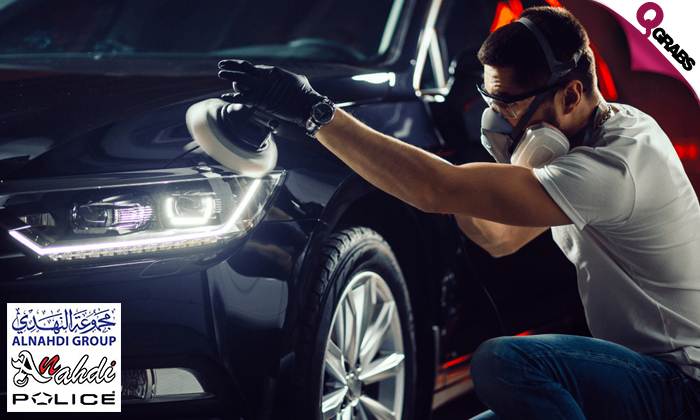 In pursuance to achieve their motto ‘The largest network of window film and protection in the Gulf’, their area of expertise is in the automotive service industry with services such as transparent film installation for windows, paint protection, film installation for vehicles and polish & automotive detailing.